Oslo, February 7th 2017. Today, 5 European fast charging networks announce the Open Fast Charging Alliance. The alliance members will enable roaming to create a premium network of fast chargers all over Europe. This network will be open to all EVs, and will make long distance travel even easier.It is clear by now that all major car brands are working on electric cars that can go at least 400 km. It is key that these cars can recharge at a convenient European network of fast charging stations with sufficiently high power. Together, the alliance members own and operate more than 500 fast chargers in 6 countries. They operate their networks according to high standards. This includes providing 24/7 customer service, and ensuring maximum network uptime. The alliance is open to other networks adhering to these standards. The alliance will focus on bilateral roaming agreements between these high quality networks by implementing open standards such as OCPI. The first implementations are planned within the year. 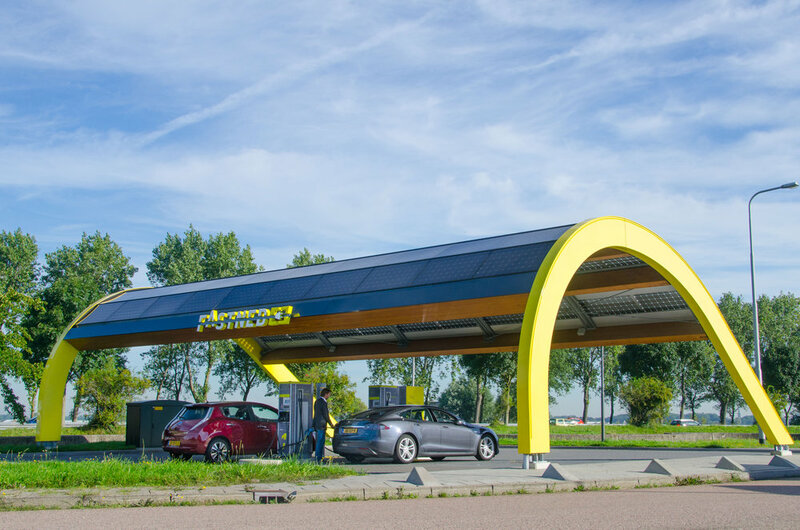 Fastned is building a network of fast-charging stations where all electric cars can charge. This will provide freedom for electric cars to drive everywhere. As of today, Fastned operates in The Netherlands and is working on expanding its fast charging network to the rest of Europe. Fastned is listed on the Nxchange stock exchange. www.fastned.nl/en. SODETREL, a 100% subsidiary of EDF SA, is dedicated to the development of innovative solutions in the field of electric mobility. SODETREL positions itself as a provider of fully integrated charging services; from conception to installation, operation and maintenance of charging infrastructures for electric and hybrid vehicles. SODETREL operates several thousand charging points in real time and applies its proven expertise to propose intelligent, reliable and efficient charging systems. SODETREL carried out with EDF, BMW, Nissan, Renault, VW and ParisTech the CORRI-DOOR network consisting in 200 interoperable and multi-standard fast charging stations along the main highway axes in France. This fast charging infrastructure network owned and fully operated by SODETREL is co-financed by the EC through the European TEN-T program. SMATRICS is the leading supplier of services for individual e-mobility and is the first and only provider to offer a charging network all over Austria and across its borders. The electricity for this high performance charging network providing 400 charging points every 60km comes from 100% renewable energy / is gained by hydroelectric power production. The SMATRICS network is available for all users. It can be activated via mobile phone, payment by creditcard is possible. Flexible tariffs, customer oriented services, a mobile app and a 24-hour customer hotline are part of the business activities as well as tailor-made charging solutions for companies, their employees, customers and guests. SMATRICS offers full service, starting from consultation, installation and operation of infrastructure up to individual types of allocation/billing. Grønn Kontakt offer smart charging solutions to all electric cars, and owns and operates 140 fast chargers covering most of Norway. Our goal is to make it as easy as possible to drive green. In addition to fast charging, the company offers smart charging solutions for companies, parking operators and private homes. The company has partner agreements with Circle K and Coop, and will double the size of its fast charge network in 2017. The company’s two major shareholders are Statkraft and Agder Energi. The GOtthard FASTcharge Ltd is a Swiss company with the mission to create a network of „Superchargers for everybody“. That is a high performance charging infrastructure (150kW/1'000V) where a modern electric vehicle can recharge up to 100 km range in 10 minutes.